QUITO—Ecuador President Rafael Correa has asked for the resignation of his cabinet after the ruling Alianza Pais party suffered a setback in provincial and municipal elections. Ecuador’s three most populous cities, Guayaquil, Quito and Cuenca, elected opposition mayors in Sunday’s elections, according to exit polls and the first preliminary official data. During a meeting with journalists in Guayaquil late Tuesday, Mr. Correa said that the change in the cabinet is necessary and was planned before the elections. Cabinet resignations are normal in Ecuador, but they usually come at the end of December or at the beginning of the year. People close to the government said Wednesday that there will be at least four changes in the cabinet. One of the ministers to be removed could be the current Minister of Non Renewable Natural Resources, Pedro Merizalde. “The president needs a stronger figure for this ministry, which is key to carry out important oil and mining projects, but only the president knows the final decision,” one of the people said. Mr. Merizalde declined to comment. The Ministry of Non Renewable Natural Resources will be responsible for reaching deals with China’s Andes Petroleum Co. and Spain’s Repsol REP.MC +1.01% over their bids in the 11th round of oil-licensing, as well as negotiating with mining companies to advance important gold and copper projects. Mr. Correa also said there will be a restructuring of provincial leaders of the Alianza Pais party. Mr. Correa, who is also the head of the party, actively participated in the campaign leading up to the elections by promoting his candidates. On Sunday, Ecuadoreans went to the polls to elect 5,661 provincial and municipal authorities, including 221 mayors across the country. 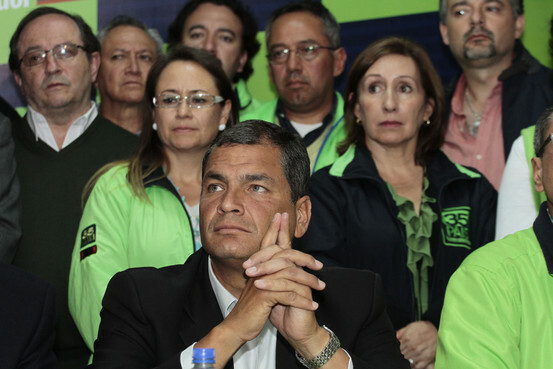 President Correa has said that the loss in Quito was painful and has called the results for the three cities as a setback for his party and his so-called citizen’s revolution. In Quito, Mauricio Rodas defeated Augusto Barrera, the current mayor and a member of the Alianza Pais party who was seeking re-election, according to preliminary data. In Guayaquil, Jaime Nebot, the right-wing mayor, was re-elected, while in Cuenca, the country’s third largest city, Marcelo Cabrera likely defeated Paul Granda, from Alianza Pais, who was seeking re-election. According to preliminary data compiled by El Universo newspaper, Alianza Pais likely won only one election for mayor in the country’s 10 biggest cities. Despite the defeats, the party remains the biggest political group in Ecuador. Ecuador’s National Electoral Council hasn’t released official results for the elections. Alianza Pais saw the elections as a way to expand its political project, which is based on an increased role of the state in the economy. The elections were also seen as a way to gain control over areas where strategic investment projects are expected to be developed, while also taking over areas that are opposition strongholds. Local analysts say the loss of elections in important cities was due to a rejection of the “authoritarian and centralist style” of President’s Correa’s government as well as of his interference in local governments. During his first seven years in office, Mr. Correa has had confrontations with various sectors, including business groups, banks, the media, indigenous people and environmentalists groups. Ecuador””s President Rafael Correa (right) is introduced by the director of his political party, Galo Mora (left), before addressing the media in Quito on Sunday. NEW YORK — The results of the municipal elections in Ecuador were a setback for President Rafael Correa. Seven years after he took office, Correa has ran out of enemies to blame for the problems faced by his country. By electing opposition leaders to govern the three most important cities in the country, the people of Ecuador have sent a strong warning to the president. To be successful and to continue enjoying popular support, Correa will have to demonstrate his ability to work with the opposition. Because democracy requires checks and balances and concentration of power is never a good recipe for democratic consolidation, the setback for President Correa’s Alianza PAÍS coalition in the municipal elections might turn out to be a healthy warning for the administration and a good indicator of the strength of Ecuadorean democracy. Historically characterized by political instability and weak governments, Ecuador holds the record of being the Latin American country with most constitutions in its 200 hundred years of independent history. Between 1996 and 2006, all presidents were ousted before completing their terms. The seven years that have elapsed since Correa won the election in late 2006 constitute the longest period of democratic rule under one leader in the nation’s history. Ecuador has been far more stable under Correa than under any other previous administration. However, stability has come at a cost. Correa has concentrated power in his own hands. Though the political party system was weak before he assumed office, he has consolidated his own power rather than build institutions that promote a competitive party system. As with several of his predecessors, Correa also sought to replace the Constitution with a new document. The custom-made text, drafted in 2008 by a constitutional assembly where Correa had majority support, proved insufficient for the power-hungry president. Correa has pushed for a number of reforms and new laws that have further weakened balance of powers and concentrated even more power in the hands of the President. As a skilled communicator, Correa has also cleverly identified different enemies to blame for the problems Ecuador faces. First, he went after the corrupt and disfunctional party system. Then, he took on foreign multinationals and the United States. He also launched a campaign against business elites that exercised power through their media empires. 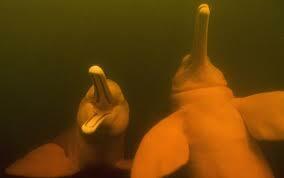 However, as he has concentrated power, Correa has also run out of enemies to blame for the problems Ecuador faces. The mediocre economic performance of Ecuador — despite the favourable economic conditions of recent years — have limited the government’s efforts to foster poverty reduction and social inclusion. Insufficient foreign investment has also hindered economic growth. Though Correa remains popular — with his approval over 60 percent after seven years in power — Ecuadoreans sent an unequivocal message in the municipal elections. By voting the opposition into office in Quito, the capital city, and in Cuenca, the third-largest city, and by keeping the opposition in power in Guayaquil, Ecuadorean voters clearly indicated that they want put a check on Correa’s power. The perception that Correa had unchecked power over the political system has been shattered by the municipal election results. To be sure, Correa should read the results as a popular rejection of his leadership. People support him as president, yet Ecuadoreans also wanted to show that their president’s power needs to be constrained. The re-election of Jaime Nebot, the incumbent mayor of Guayaquil and the victory by Mauricio Rodas in Quito will put an effective check on Correa’s power in Ecuador’s two most important cities. In the rest of the country, the victories by Nebot (60 percent) and Rodas (58 percent) will have repercussions, as Correa invested political capital by claiming that the municipal elections were a test of popular support for the government’s roadmap. Correa actively campaigned for the candidates of his Movimiento Alianza PAÍS, but voters chose to support opposition candidates. The opposition should also read the results closely: Correa remains the most popular politician in the country. Nebot has little appeal outside Guayaquil and Rodas had little support nationally when he challenged Correa last year in the presidential election. In February of 2013, Correa easily won re-election with 57 percent of the vote. Rodas came in fourth place, with a meagre 3.9 percent. Ecuadoreans do not seem ready to support a political alternative to Correa and his left-wing coalition. Yet, they seem determined to constrain the political power that their president can exercise. President Correa should pay attention to the message people sent at the voting booth last Sunday. Ecuadoreans want the government to work with the opposition and not just use them as a scape goat for the problems the government cannot solve. If President Correa chooses to antagonize the opposition and uses his legislative majority to restrict the power of local leaders, the municipal elections of 2014 will go down in history as the first sign of Correa’s political decline. If he learns the lesson, his leadership will be strengthened and Correa will continue making history as the longest-serving democratic president of Ecuador. ~ by FSVSF Admin on 26 February, 2014.